Monochrome, colour, stereogram, or anaglyph pictures supported via PNG, BMP, JPG or GIF. The ability to batch process multiple images for animation. A special experimental feature to enhance the anaglyph effect to reduce 'ghosting' (see further below). Ability to trim the outside or inside of images to enhance the 3D effect further. Pre-processing options to cycle the hues, or alter the saturation or brightness of images to enhance the overall 3D effect even further. The trial version lasts indefinitely and is unrestricted, apart from a watermark embedded in each image. To have this removed, please contribute an amount of your choice (maybe $3 to $10 recommended, though it's your call). 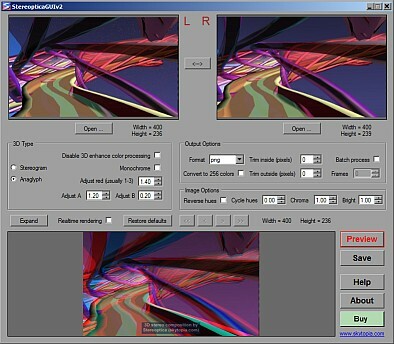 At the time, I simply wanted a program to batch convert sets of stereo images into an animation. I couldn't find one that worked properly, so I created my own. But along the way, I became more interested in how the 3D effect is achieved, and found that the problem of ghosting could be greatly reduced by altering the gamma of the red component according to the green component in the final stereo image. This along with the above mentioned features, and further development of the program prompted me to release Stereoptica on the web for anyone to use. Hope you find it useful! As you can see, the 'enhance' versions have less ghosting (albeit slightly darker). The problem stems from the fact that monitors and TVs don't display proper cyan or green, but instead have some red pollution coming through (see the "Eclipse of Mars" illusion here for a dramatic demonstration of this). This issue should be alleviated once OLED displays become commonplace! See the documentation for a full list of features. FreeImage - The amazing library that made this program a joy to program. 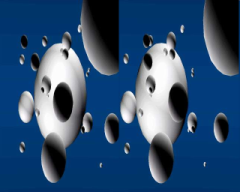 Greatest optical illusions - See the 3D tube animation created with the Stereoptica software! Here's the original optical illusions page. 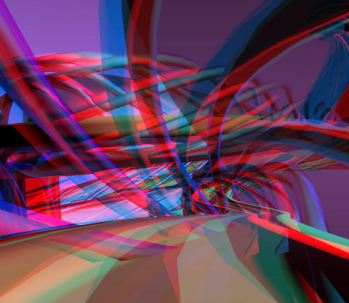 3D gallery - A 3D stereo gallery. 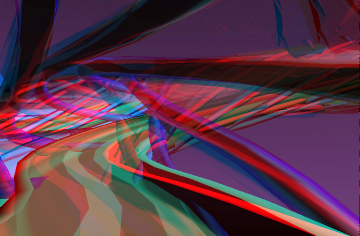 You'll also want those red/green or red/cyan glasses handy. Rainbow Symphony - A unique site with a great 3D gallery, shop and plenty of other 3D related stuff. Microscopic life in 3-D - Excellent collection of microscopic life in full 3-D. See a spider's jaws close up, or the bulbous shape of a bee's eye. It's amazing how the ordinary 2D shots pale into comparison after glimpsing this lot. Requires red/green specs. 3DWonderStuff - All sorts of cool stuff on this page, but see the brilliant collection of 3D animations and images. They're like those 3d random dot stereograms (RDS), but much better, because there are no dots, and they're in full colour! The software and documentation is (c) copyright Daniel White 2007+.